On this episode of the #AskASwimPro show, we’re at the U.S. Aquatic Sports Convention in Jacksonville, Florida with U.S. Masters Swimming Board Member, Ralph Davis! 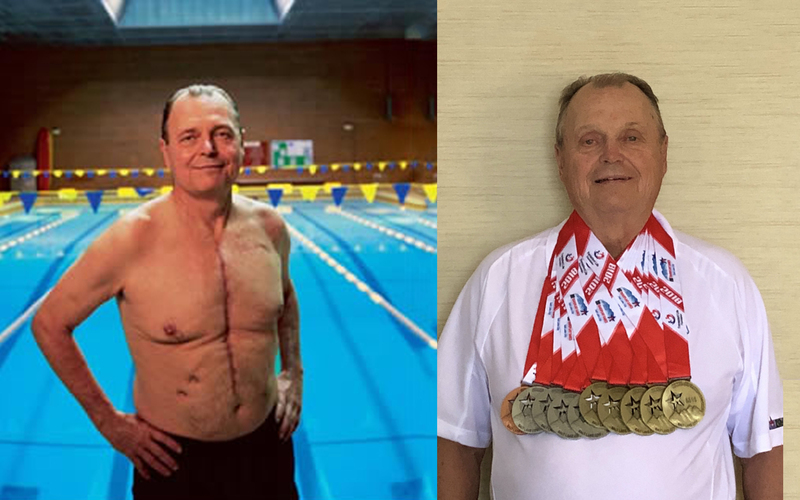 Ralph Davis was a big winner at the 2018 Transplant Games in Salt Lake City, Utah. This year’s Transplant Games featured over 7,000 participants from all over the world, competing in a variety of sports. By the end of the competition, Ralph had garnered 10 medals total – 5 Gold, 4 Silver and one Bronze. The U-M Frankel Cardiovascular Center asked Ralph to be part of their Michigan Difference campaign. Ralph and his wife volunteered to do a television commercial and subsequently his image was on highway billboards and posters in the hospital. He still stands proudly in front of the swimming pool in the second floor hall between Taubman Center and University Hospital. The Michigan Difference campaign that Ralph was a part of raised $3.3 Billion dollars for the University of Michigan and UM hospital. You can read more about his story here. Ralph had been a competitive swimmer for many years with Michigan Masters Swimming. A year to the day after receiving his new heart he swam again competitively in his first swim meet with a new heart. :30 – What is the U.S. Aquatic Sports Convention? 1:39 – Ralph’s swimming story. 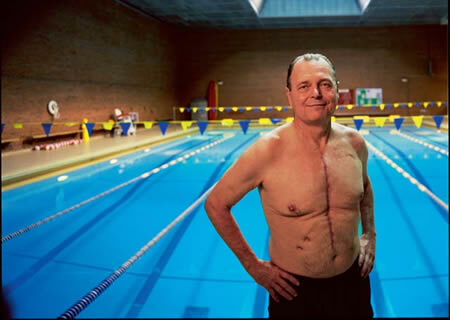 2:55 – Ralph’s heart transplant story in 2006. 3:44 – What it’s like competing in the transplant games. 4:47 – The Michigan Difference advertising campaign. 5:50 – Current swimming routine. 6:20 – Advice to new swimmers. 7:20 – How to how to get involved with swimming. 8:10 – Why you should consider joining U.S. Masters Swimming. Learn more about U.S. Masters Swimming and Michigan Masters Swimming. Looking for swim workouts, tips and drills? Download the FREE MySwimPro app for iPhone and Android! If you have any questions about MySwimPro or swimming, send us an email! We’d love to chat. Email us anytime at fares@myswimpro.com.